The easiest way to start and drive a screw. The outer sleeve slides over the screw and keeps it straight while driving. 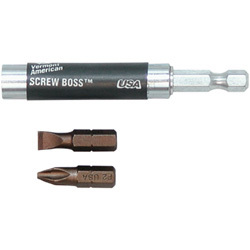 A magnetic shaft holds bits securely and allows for quick and easy bit changes.